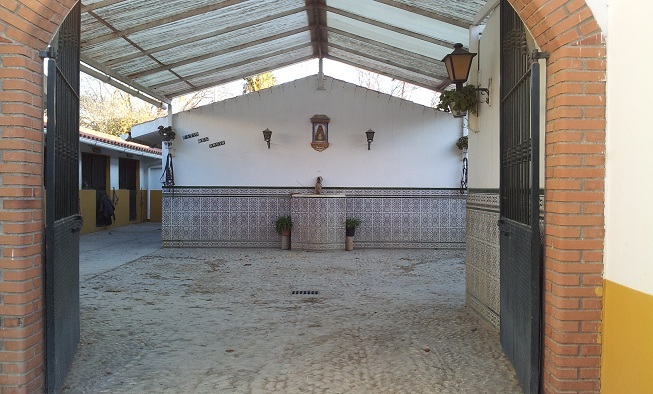 Welcome to beautyfull El Ranchito in Torremolinos - only 10 minutes from the airport and 15 minutes walk to the beach. 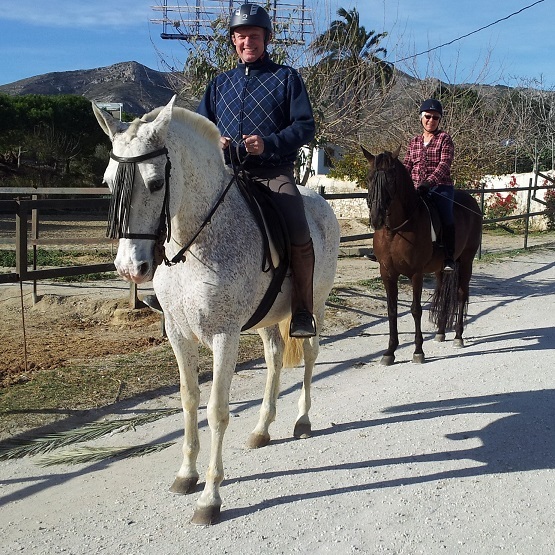 We have riding-classes for beginners as well as advanced riders. 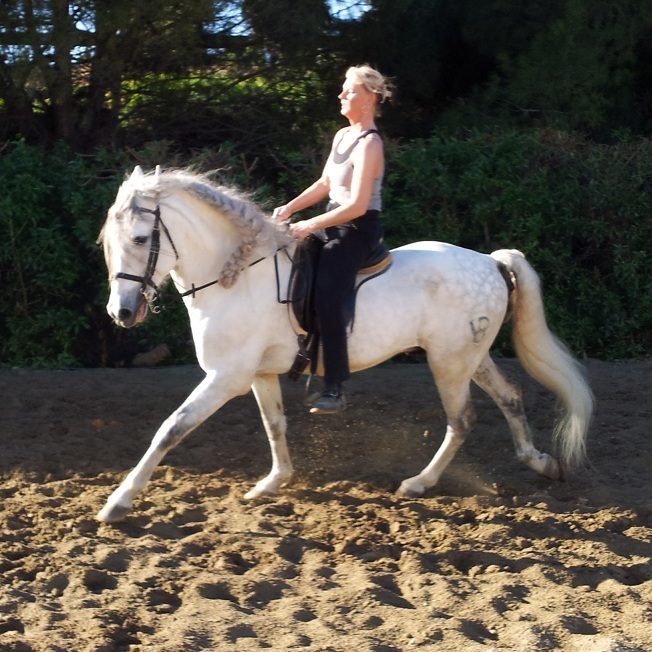 Our horses range from easy-rides with basic skills up to high level performers with lots of power. 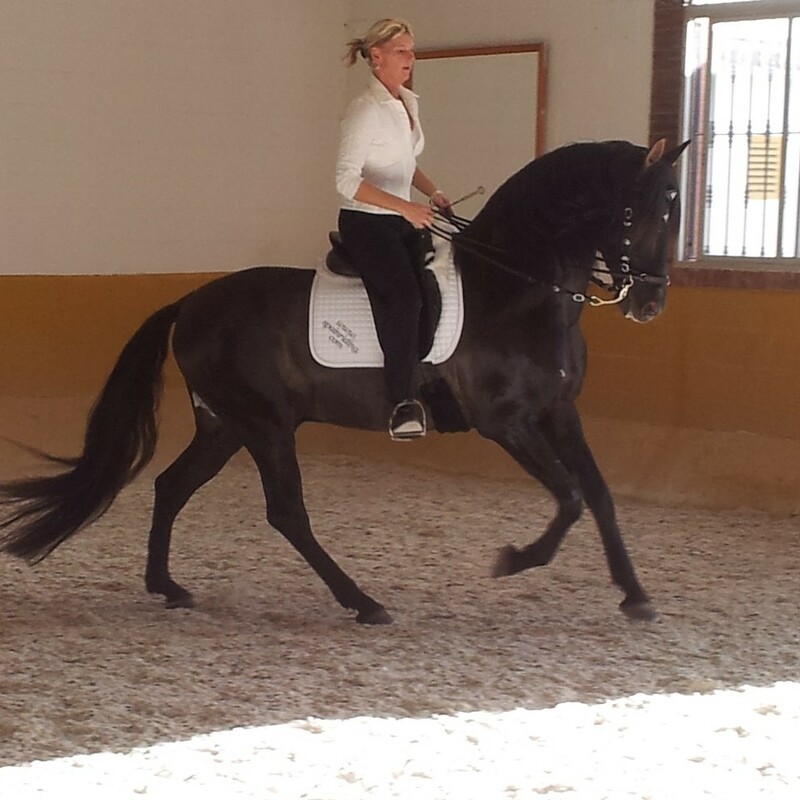 We usally start with work from the ground - communication, relaxation, breathing and harmony together with your horse. Then you can also see al the movements, shoulder in, haunches in etc. and that will make it easier to perform them later. 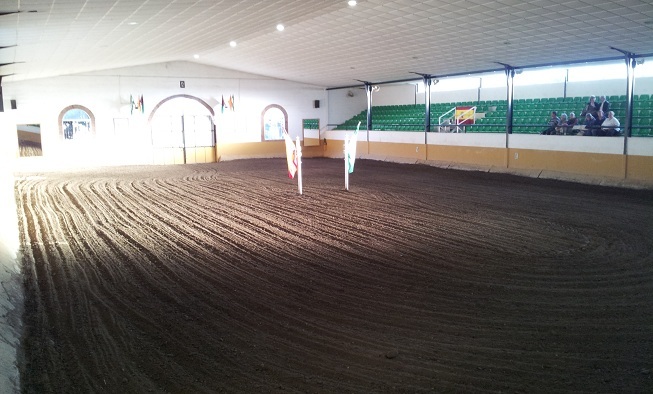 All training is based on the rider´s skill and ambition. We usually start with work in hand including communication, relaxation, breathing and harmony with your horse. This will make you aware of all movements, shoulder in, haunches in etc. and therefore be easier for you to perform later. 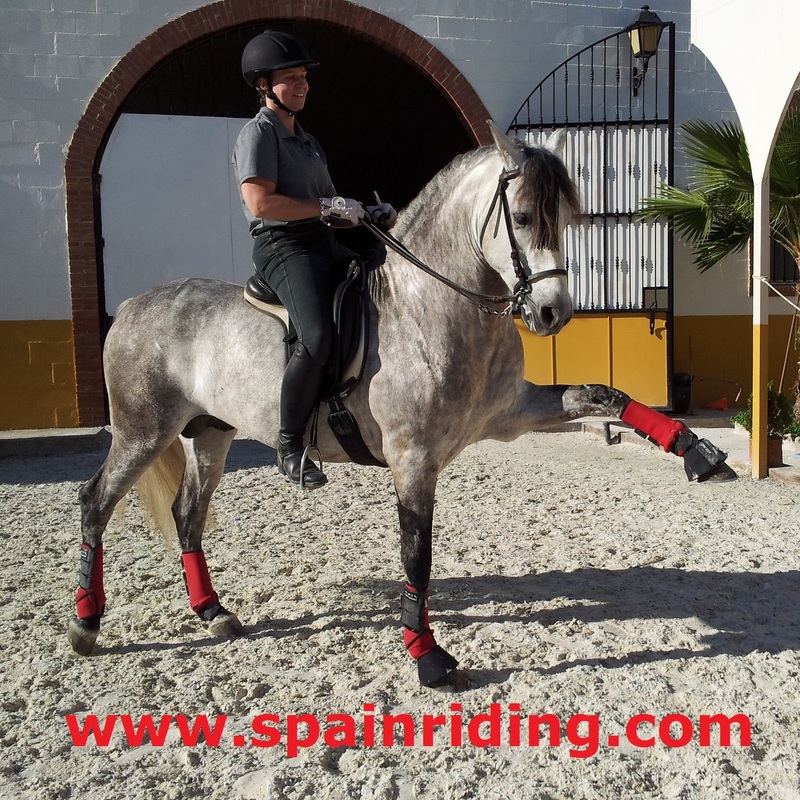 Once ready to mount the horse we focus on the rider´s and horseÂ´s body awareness. Doing the movements slowly enables you to feel the exact position of both hindlegs. When initiating trot and canter the ultimate goal is to maintain these paces without rider or horse becoming tensed or stressed. entails using as little effort as possible in influencing the horse to perform as much as possible. Inspired by the Classical School. 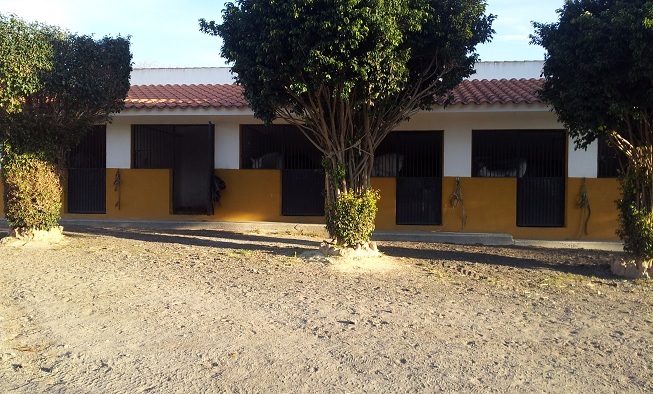 The goal is a horse in natural balance, self carrying, relaxed, moving through the whole body, listening and waiting for the rider´s gentle signals and enabling the horse´s natural curiosity to succeed. Before you can require great things from your horse, you need to find your own balance. We practice breathing, relaxation, presence, leadership, concentration, body control, focus and how to give clear signals in order to get a responsive horse. 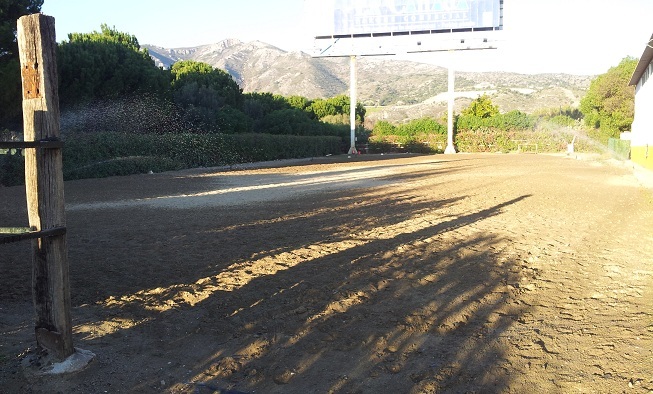 All tuition is tailor-made to suit each individual rider´s level and preferences, starting with the basics.